Two gray juncos enjoy a feast of seeds on a snowy winter day. 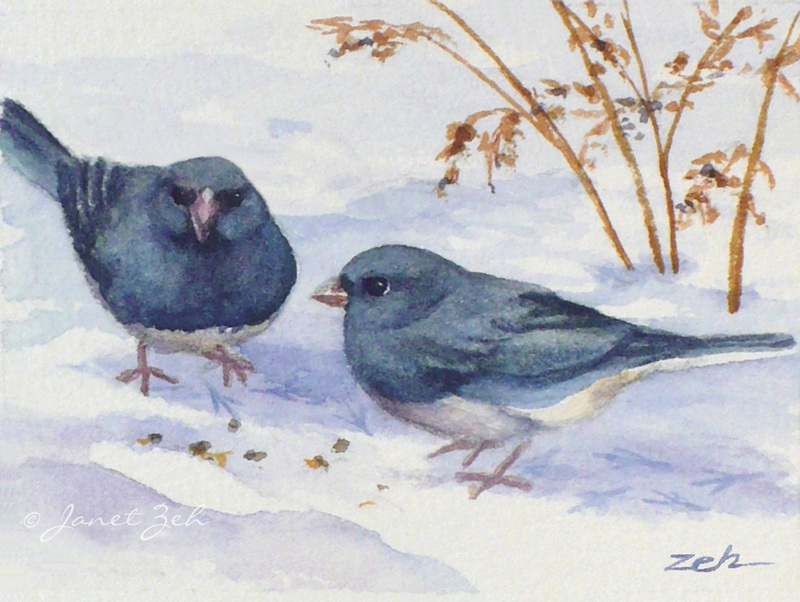 This piece was inspired by the birds under my feeder as they hopped about for seeds. Snowbirds print comes in several sizes and can be ordered framed, unframed or on canvas. Click the Order Print button below for sizes, options and prices.